Is your organization ready to reap the benefits of AI and operational automation? 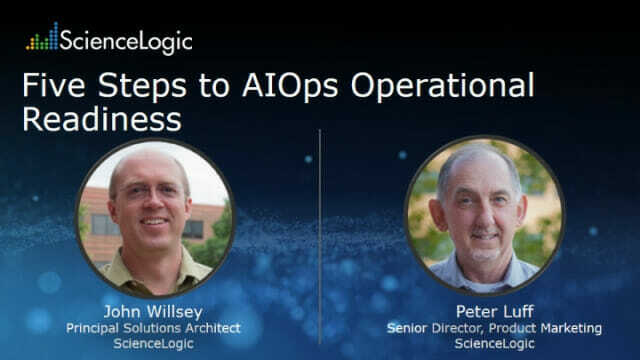 In this webinar, experts will discuss the current state of AI / ML for IT Operations and explore five steps needed for a successful transition to AIOps (Artificial Intelligence for IT Operations). Additionally, we will demonstrate several use cases that show how the highly dynamic IT landscape of containers, cloud, and serverless compute can be managed effectively at machine speed. Watch webinar and learn the five essential steps to successfully deploying AIOps.